Bosniaks have more fighters to I.S. per capita than any other European nation. Experts in the fight against terrorism claim around the increasing number of fighters of IS returnees in BiH, in transit towards other EU countries. Diplomats and security experts warn that the returnees safe shelters are actually the djemats in which the flag IS is openly displayed, in dozens of locations across Bosnia. 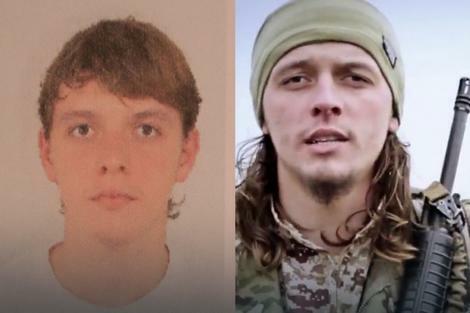 Such djemats continue to receive foreign fighters, who are here to rest, change their identity, coming to acquire the necessary weapons, but also to conduct money laundering, and thereafter enter the countries of Western Europe. Gordon Bardos, President of the SEERECON, a company for strategic consulting and analysis of political risk, says djemats become an enclave within sovereign states. "Established villages run by radical Islamists definitely operate as enclaves within Bosnia and Herzegovina. In addition, they establish and financial networks for the transfer of money, while at the same time provide new fighters or false identities," said Bardos. According to him, when you get a new identity, these people life starting from scratch and are free to travel around the world. "In these remote villages they conduct paramilitary training," adds Bardos. He claims that all of the biggest attacks directed against the United States, including the September 11, had Bosnian connections. "We're talking about people who were involved in the 9/11 attacks. We are talking about people who were involved in the attack on the USS Cole." We're talking about people who were involved in attacks on US embassies in Africa in August 1998. All they were in the nineties were active in the Balkans. it is they who are sown the seeds of all this we're seeing, "said Bardos. In addition, it is alleged, BiH has played an important role in the recent attacks across Europe. "Historically, when we look at a variety of terrorist attacks, the last on the Christmas market in Berlin, or the attack on 'Charlie Hebdo' in Paris, or the attack on the Brussels metro, exists a 'Balkan connection'". Suspects of planning the attacks in Paris in November 2015, or attacks on Brussels in March 2016, have lived in the Balkans. Weapons and ammunition found in Paris originate from the Balkans. Nasser bin Ali Ansi, who used to live in Bosnia, claimed responsibility for the attack on "Charlie Hebdo" in Paris. Later Ali Ansi became leader of al Qaeda in the Arabian Peninsula. Many fighters from Bosnia and Herzegovina fled from Rake and Mosul in the province of Idlib, which is today a mainstay of all jihadist groups. In Mosul (Iraq) terrorists held by only two districts, and in Syria, their capital Cancer is almost about to fall. Today, most fighters of the terrorist organization Islamic state are concentrated in the provinces of Deir ez-Zor and Idlib, and among them are fighters from the former Yugoslavia and most notably Bosnia. The Croatia paper "Vecernji list" has received exclusive information from confidential sources, collected on the basis of monitoring and interception, on how many figthers there are and where they live today who are fighting on the side of ISIL. According to the data sheet received, increasing group of jihadists from BiH with their families stationed in the Majadin near the town of Deir ez-Zora. Many of them are in Majadin come from Rake, and some of Mosul. Among them is Edvin Babic called Osman from Sarajevo, who works in the media of the Islamic state. In Majadin have come and some of the most notorious terrorists of BiH as Ines Midžić from Bihac. He is one of the actors of the film "The honor is in jihad, the message the Balkans", fled also with his family. 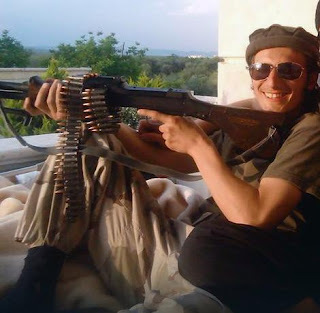 His pseudonym in a shocking video footage showing how Midžić slaughtered Kurdish fighter, read "Salahudin al-Bosni"a.Otherwise, Ines was born in 1990 in Bihac, a month before the departure he was about to defend his thesis in English at the University of Bihac. In Syria he went with Fikret Hadzic with a flight from Sarajevo via Istanbul, on15 August 2012. Several times he returned to Bosnia and Herzegovina, smoothly passing border points despite being in the wanted list, and with him on June 20 2013, in Istanbul traveled together with Edin Zukic. Saladin, who works for the media ISIL and speaks excellent English, leads and governs ISIL's portal "News Ummah".Midžić in Bihac was known as the activists of an NGO in which he was a translator. In addition, Majadinu is another notorious terrorists from BiH - Jasmin Keserović called Japa, known for being also one of the actors of the film "The honor is in jihad, the message the Balkans", in which he openly called for the murder of people from the Balkans. It is a very radical young man, born in 1994 in Zavidovici. 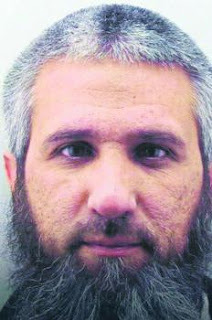 Keserović, who is among najradikalizovanijim and most violent Islamists, he went to the jihad with Bajro IKANOVIĆ and Midhat Djon on 23 January 2013 again via Istanbul. In a propaganda video in which Keserović appears under the name "Abu Muhammad al-Bosni"a. shows footage with the authentic scenes of the Golden Gate, one of the most recognizable symbols of San Francisco, and Las Vegas, and portrays "Omar Mateen", who committed the massacre at a nightclub in Orlando-USA. Keserović is in this recording very strongly urges his followers to murder unbelievers. Among the fighters from Bosnia and Herzegovina and today is in the province of Deir ez-Zor is Ali Keserović from Velika Kladusa, born in the village of Trnovo. He joined I.S. in 2014 and is one of the actors of the propaganda film "The structure of the Caliphate". There is also Goran Pavlovic Abdullah, nome de guerre "Abu Ubaydah", a native of Serbia, born in Belgrade, who converted to Islam. One of the best ofMidžićevih's friends, and is in Syria also from 2013. He lived in the past in the village of Gornja Maoca. In Idlib is Edin Zukic from Banovic in Bosnia, which was among the first to leave BiH. Unlike most Bosnians who joined the terrorist organization Islamic state, Edin joined al-Nusra Front affiliated with Al Qaeda. Zukić on social networks known as "Abdullah Muhajir", is currently a member of the Taliban movement in Idlib. With him is his brother Elvedin Zukić, and also Jasmin Grabus known as Saad SANDŽAK. This group now idles in Idlib awaiting developments. A group of fighters is in Mosul led by Bajro IKANOVIĆ, terrorist from Bosnia, along with the fighters and Edin Kahriman from Maglaj, Senad Hasanovic from Sarajevo, and other several fighters from Bosnia and Kosovo. The City of Mosul will soon be liberated and these fighters have only two choices - or they will surrender they will be killed. Most members of the Wahhabi movement went to Syria in 2013, in the town of Azaz on the border with Turkey. In Syria, the Turks let them both legally and illegally. After the Islamic state declared caliphate, they all went out of Azaz South -East..Later they spread on Al Bab, Sarin, Kobani and other cities, but after they were expelled Kurds, 2015, most went to Mosul. All available information indicate thet the aforementioned people and their surrounding networks are in the process of returning to the Balknas with Turkey again as the main transit route.